Becoming a professional organizer is equal parts exciting and challenging. Enrolling in a course is the best possible way to prepare for your career! In addition to teaching you specific techniques to organize homes and offices, a professional organizing course contains invaluable insights that every designer can benefit from, including how to start your own business and how to properly declutter a space. Read on for four lessons from the professional organizer course that every designer should know, and start broadening your horizons! Throughout your career as a professional organizer, you’ll work with a variety of different clients, meaning you’ll run into many unique personalities and needs. This can prove very challenging – clients will depend on you, the expert, to think outside the box and help them reorganize their space, taking into account small details and elements. They’ll be dependent on your problem solving skills in order to help restructure their lives and improve their routines. It can be really tough to find a happy balance with clients who are stressed out or unhappy, and you will inevitably encounter some tricky situations. This is where your professional organizing course comes in handy! Assignments will include real-life scenarios featuring the types of clients you’ll meet as a professional organizer, such as stressed out single parents trying to juggle multiple tasks. This client will need a professional organizer to help streamline their life, and you’ll be asked to identify the client’s profile and the cause of their disorganization. You’ll learn how to be empathetic, and understand how your clients’ lives have become so chaotic, which are necessary insights for you to help them. And guess what? This training is completely applicable and valuable to other branches of the design industry such as interior decorating, home staging, color consulting, and Feng Shui. Knowing how to work with different client personalities is a skill that will promote success in your design career. 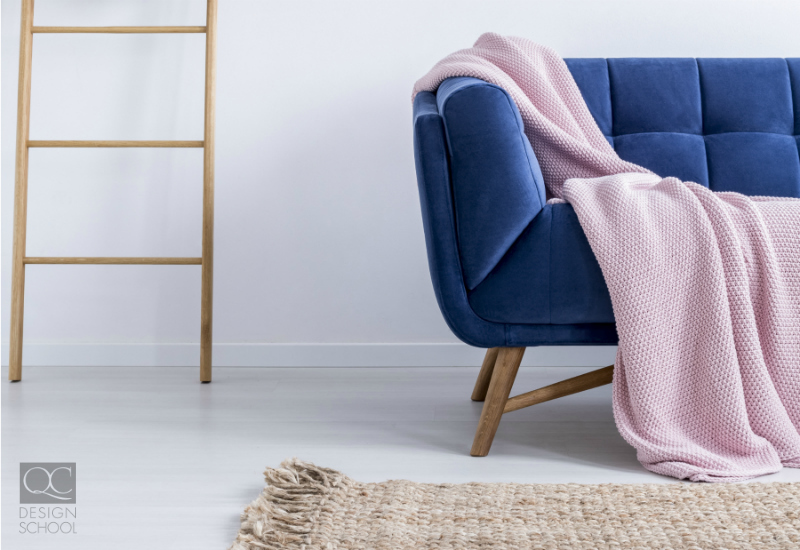 Decluttering can be very challenging because it will likely require you to have difficult conversations with your clients about their living and working habits. Once again, this lesson is not just for professional organizers! If you’re working in a client’s space, you will inevitably need to help them organize and declutter, regardless of your job title. The assignments completed in your professional organizing course will provide reference for when you take on this often hefty task. The more clients you meet and skills you possess, the more successful you’ll be as a result! Have you ever dreamed of being your own boss? How about setting your own rates and hours, as well as choosing your own clients? This will allow you a great deal of freedom in your design career, so it’s no surprise that many design professionals aspire to be business owners. But getting there won’t happen overnight, and this is one of the reasons why a professional organizing course is so valuable to your career – most courses won’t contain business training! Now, you’ll have to make sure you choose the right course, as it will need to have a curriculum dedicated to teaching you how to register your business, set up insurance, write a professional business plan, and more. QC Design School’s Professional Organizing Course, for example, teaches students different ways to market their professional organizing business successfully, and guidelines for how much to charge for each project. This is extremely helpful information, and will help you become a business owner sooner than you think! Knowing how to start your own business is also a critical skill for all design professionals. Course training will equip you with the knowledge and tools you need to start an interior decorating, home staging, or other client oriented design business. Not to mention that your professional organizer certification will show clients and employers alike that you’ve been properly trained, helping you to stand out from the competition! Professional organizing is an extremely dynamic and exciting career – no two days will be the same, and you’ll constantly be thinking outside the box. That being said, one of the most important qualities you’ll need to possess is adaptability. No two clients are alike, and no two situations are going to look quite the same. Not only do you need to be highly skilled in your techniques and background knowledge (and you can thank your professional organizing course for this), you also have to be able to think quickly on your feet, make decisions confidently, and go with the flow as much as possible. Pay close attention to the assignments in your course that focus on listening and selling techniques, as they will be extremely useful in your professional organizing career. You’ll need to know how to work with clients hesitant to your changes (as we discussed earlier), and how to be empathetic toward your client’s perspective.. We’re not saying to give in to your client’s preferences over your expertise, but do try to understand their point of view. This will help you adapt your thinking when coming up with the best changes for your clients’ homes and lives. Adaptability is a lesson that will serve all designers well, as clients will expect quick answers to questions, and want to see you incorporate their own vision into your ideas for their space. Being amenable will go a long way in your career! Find out what clients are looking for in a professional organizer — do you have what it takes? Previous PostThese Color Palettes Are Due for a Comeback in 2018!